1998 started concerted focus on technical rock – Canadian Rockies; Northwest Territories; Yukon; Mexico; Cub; Thailand; Italy; US Rocky Mountain Region; US Desert Southwest Region; eastern Sierras. 1999 started focus in alpine rock – 1999 Cho Oyu “Women’s Century Expedition”, Nepal/Tibet; Cordillera Blanca, Peruvian Andes; Canadian Rockes; eastern Sierras; Argentina. 2000 began focus in ski mountaineering – Canadian Rockies (i.e.Bugaboo to Roger’s Pass traverse); US RockiesClimbs throughout western U.S. and Canada. Expeditions to Yukon and Cordillera Blanca (Peru). Member of all-women’s expedition to Cho Oyu in Tibet. 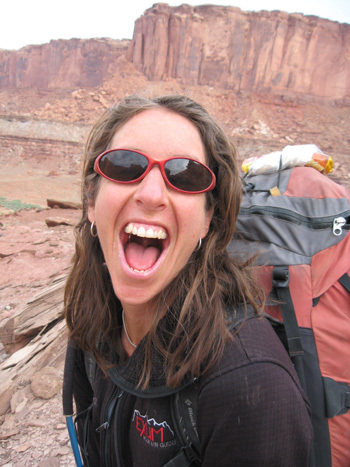 Founder of “Expedition Inspiration,” a guided climb of Grand Teton to raise funds and awareness for breast cancer research.